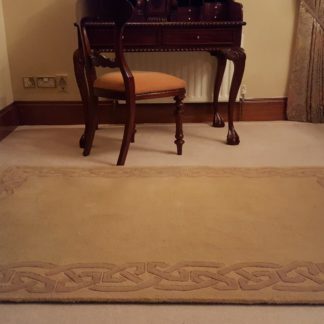 Shop here for Handmade Wool Area Rugs and Wall Hangings designed by Higgins & Co’s Celtic Rug Company in Claremorris, County Mayo, Ireland. Shop for these unique area rugs which are based upon designs more than one thousand years old. Each area rug is made with a deep wool pile, which is soft to the touch. These design rugs will make a beautiful addition to your home interior setting and create a high quality and luxurious feel. Read more about us here!